Ever heard that saying before? I have to admit, I love it. I love it too - so jealous! I love it! Have fun enjoying it! Fun!! 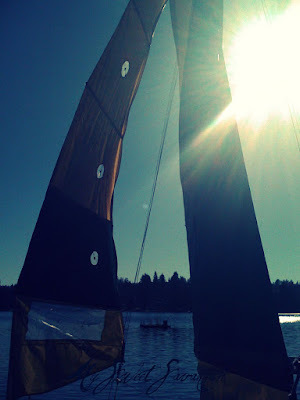 I just posted an inspiration board for a sailing party-- how funny-- perfect timing! Oh what fun!!!! He wins!! oh my, my husband lives by this moto as well! 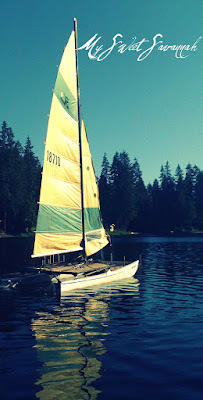 We had a sailboat, a nice one until a tree fell on it two months ago! We love sailing! But don't fret, my husband still owns his own airplane and motorcycle, so he still has plenty of toys! although he bugs me daily about when we are getting another sailboat! What an excuse to get a new go shopping and get a new sailing outfit/hat/swimsuit!! Have fun with the sailboat!